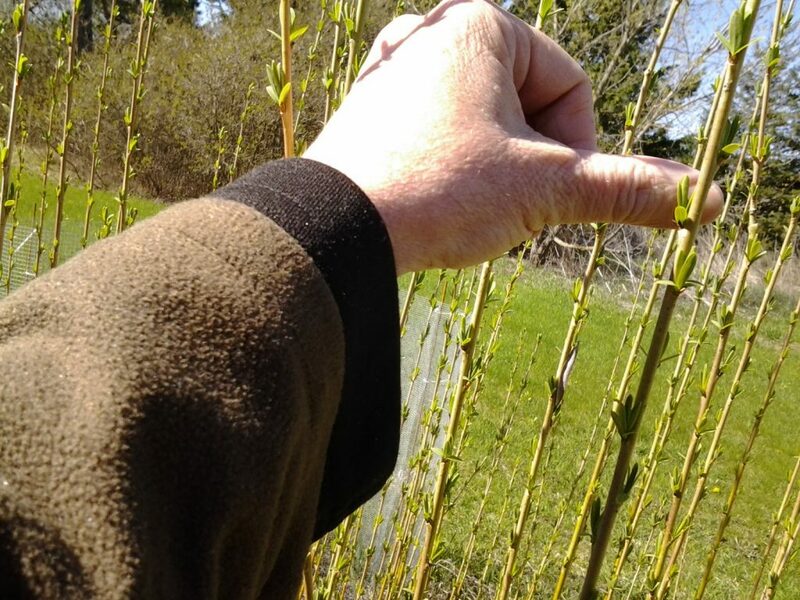 The willow I’m peeling in the video was salix purpurea ‘green dicks’ fresh-cut earlier in the day. I did several tests over about 10 days to figure out when the willow would peel easily. For me, the best time was after the buds broke and the leaves were about as long as my thumbnail is wide. 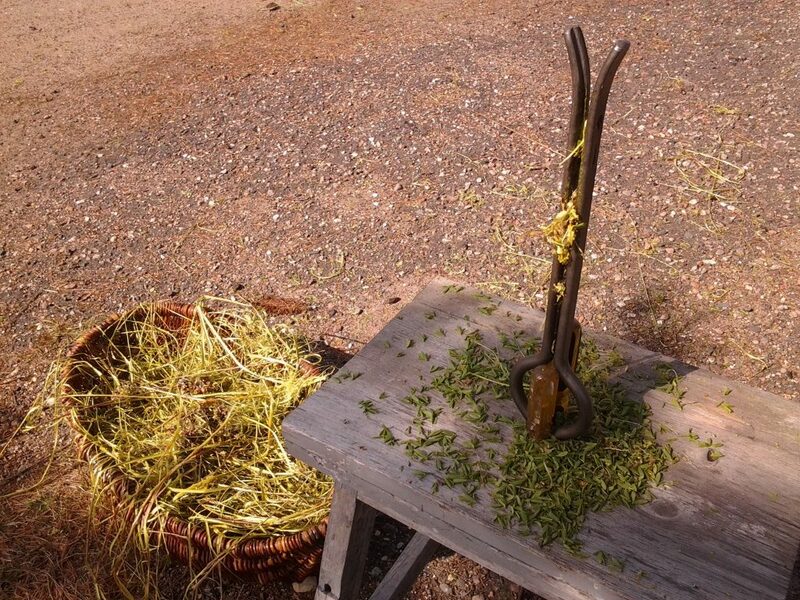 After cutting the willow, I stood it in a bucket of water to keep the rods from drying out while I peeled. This may not be necessary, but I was glad I did: The fire department got paged out while I was in the middle of peeling. 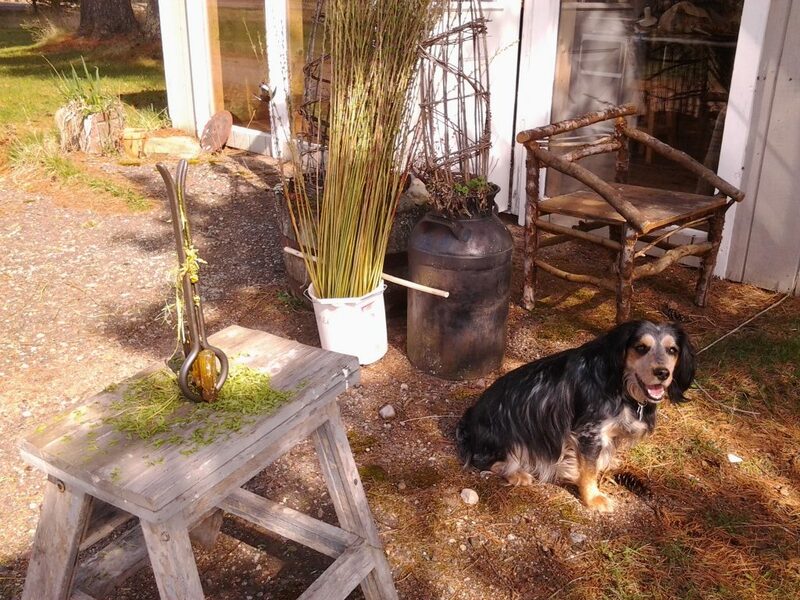 That willow would have been sitting in the sun and wind for several hours while we were off on the fire scene. Here’s a close-up of the brake, which goes into a hole in the top of an old stepstool. The hole is round, and the brake doesn’t fit perfectly, so I wedge a couple of screwdrivers on either side to hold the brake steady. I keep a basket next to the brake and throw the peeled bark into it. I’ll use the bark for natural dye. The peeled rods went into a large basket to keep them clean while they were still damp. 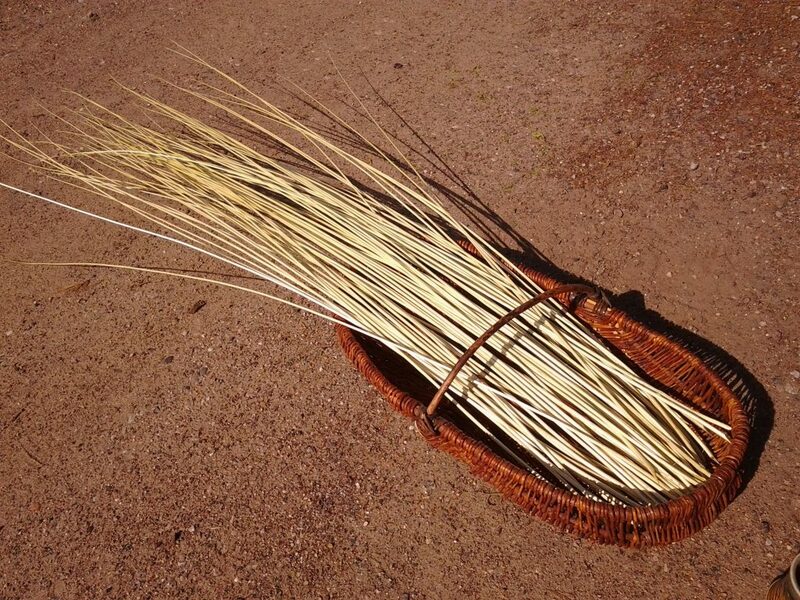 When the basket was full and the rods were dry to the touch, I laid them on the grass in the sun to whiten a bit. My peeling isn’t perfect, but it will get better with more practice. In the meantime, I feel good about having my own homegrown white willow seasoning for next year.